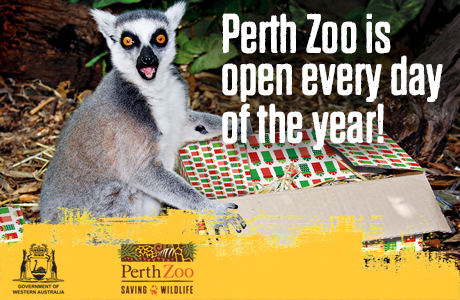 WHY not make it a happy zoo year this year at Perth Zoo? Gates open at 5pm, and there will be high-energy performances for the kids from 6.45pm. You can see Lu Boy and Lu Girl from The LuLu’s before best owl-pal’s Hoot and Hootabelle make an appearance. Then get ready to travel to Neverland and join Peter Pan and Tinker Bell before ringing in the New Year at the family friendly time of 9pm.